If you’ve jumped on the Marie Kondo train and have spent time tidying up over the last few months, you’re in good company. 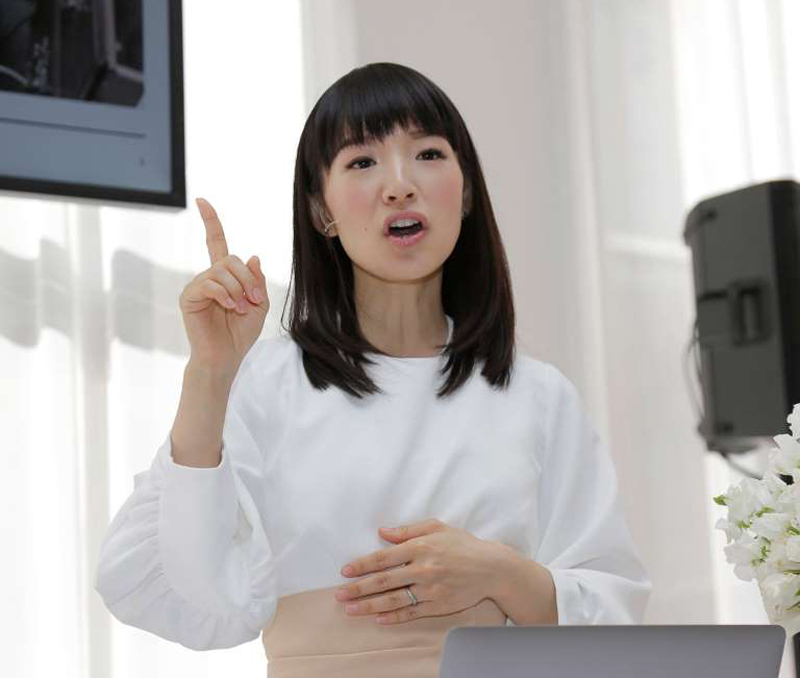 Her book, The Life-Changing Magic of Tidying Up and her Netflix series, Tidying Up with Marie Kondo has sparked a bit of a revolution in which people are taking time to toss what they no longer need and better organize belongings they want to keep. While Kondo’s tips will surely help you sort through your home’s clutter and show you how to stay organized, we disagree with one of Kondo’s key messages. As part of the tidying up process, Kondo suggests you should hold each item and ask yourself, “Does it spark joy?” If the answer is yes, it stays. If the answer is no, it goes. The problem is that while that process may work for items such as clothing and things like mementos from vacations, it doesn’t work very well for tools. Next time you’re in your workshop or garage, pick up your hammer and ask yourself, “Does this spark joy?” Probably not, but it’s also not something you could get rid of if you’re a DIYer. You may not enjoy using a sander, but that doesn’t mean you should get rid of it. Screwdrivers and wrenches may not spark joy but they surely get the job done. Instead, when tasked with tidying up the workshop or garage, it may work better to say, “How many hammers do I need?” You probably don’t need six, so could you pare it down to two? Do you really need 12 utility knives scattered around the house? Probably not. Tidying up should be a worthy goal for all of us, but perhaps the phrase “Does it spark joy,” isn’t the right question to be asking when sorting through your DIY tools and materials.